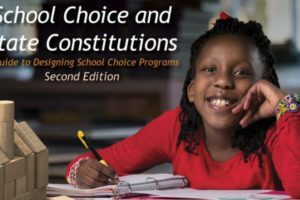 School choice advocates are now on the school board in Los Angeles, California, a win for parents and students. Federal Vouchers or Trojan Horse? To invest in federal school vouchers, or to leave it up to the states? That is the question facing conservatives under the Trump administration. A Gallup poll confirmed that the majority of Americans favor federal education tax credits to give parents the power to choose which schools that their children attend. Should We Hold Off on Online and Blended Learning?